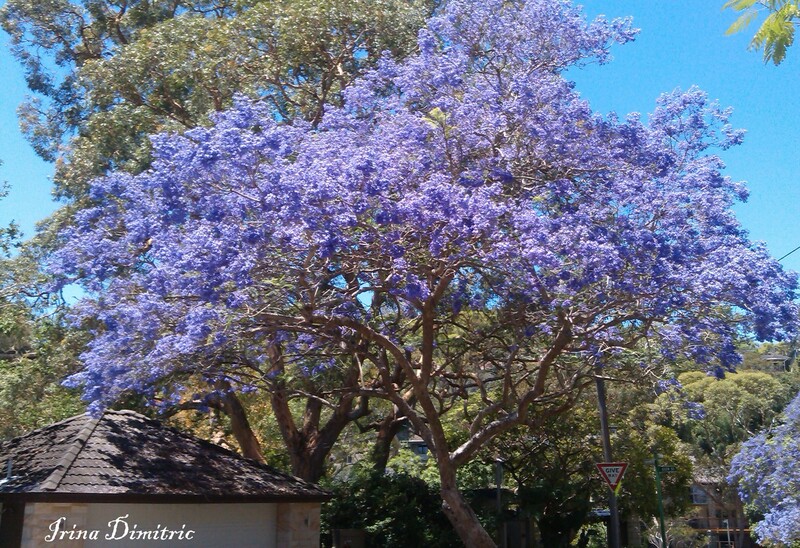 Here are just a few pics to remember their purple beauty before they disappear from our gardens, parks and streets. 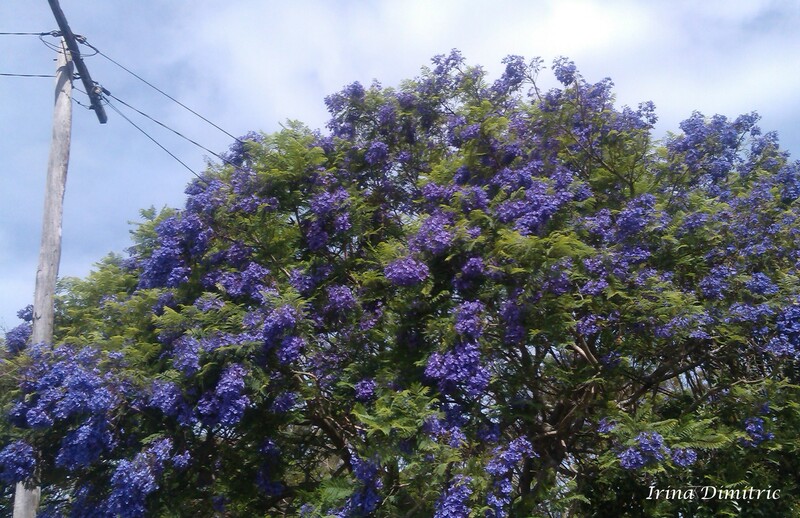 ~ But some Jacarandas produce flowers and foliage at the same time. 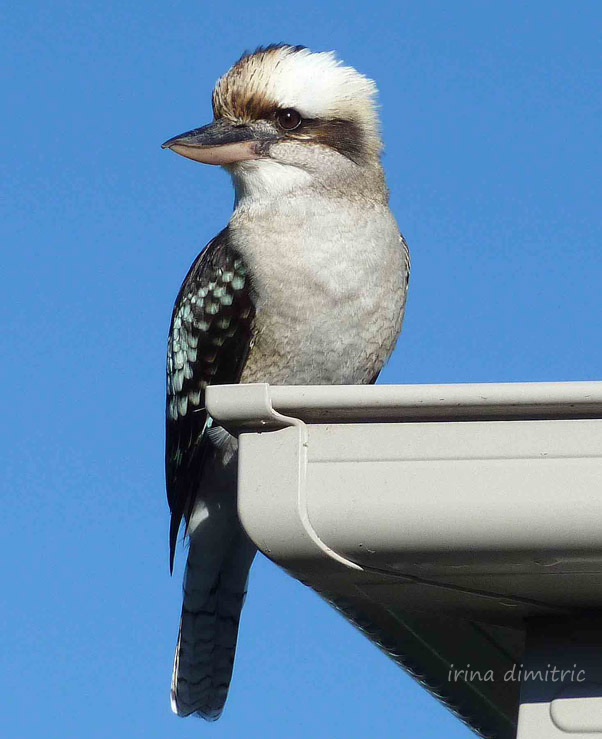 This one is in my street. ~ Bye until next year in November! 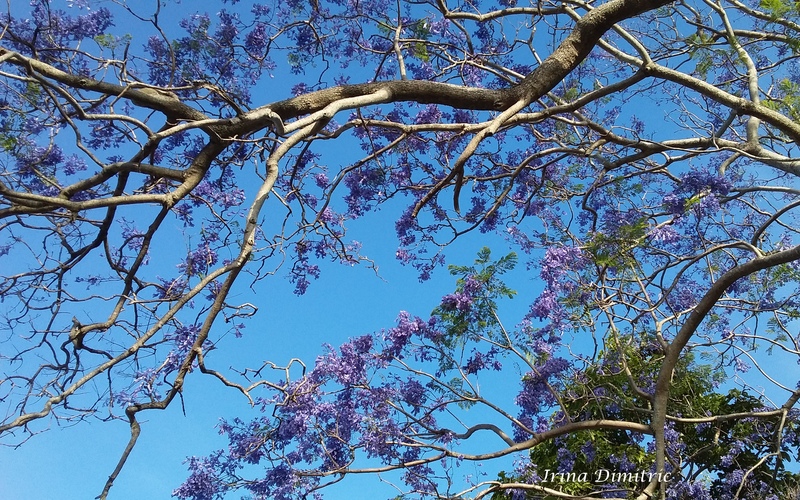 This entry was posted in Nature, Photo Essay, Photography, Poetry, Poetry/Photography and tagged Australia, form poetry, Haiku, Irina Dimitric, Jacaranda blossoms, Jacaranda tree, nature, November in Australia, photo essay, photos, poetry. Bookmark the permalink. Glad I can offer some summer enjoyment for you! This is a gorgeous flower reminding me of lilac: stunning and fleeting, marking a very specific time of the year. Your haiku does it justice. 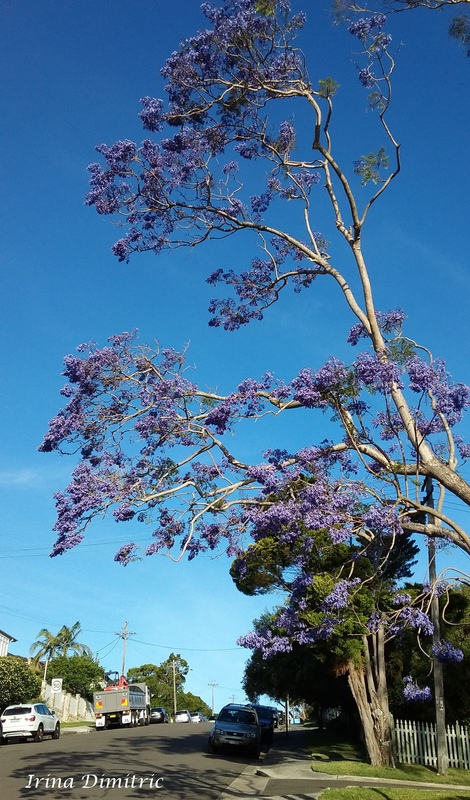 I haven’t seen lilac in Sydney, and yet when I googled it, I found it is grown in Australia. Praise for my haiku from you, my mentor, makes my day. Thank you, Susan, for your lovely comment. 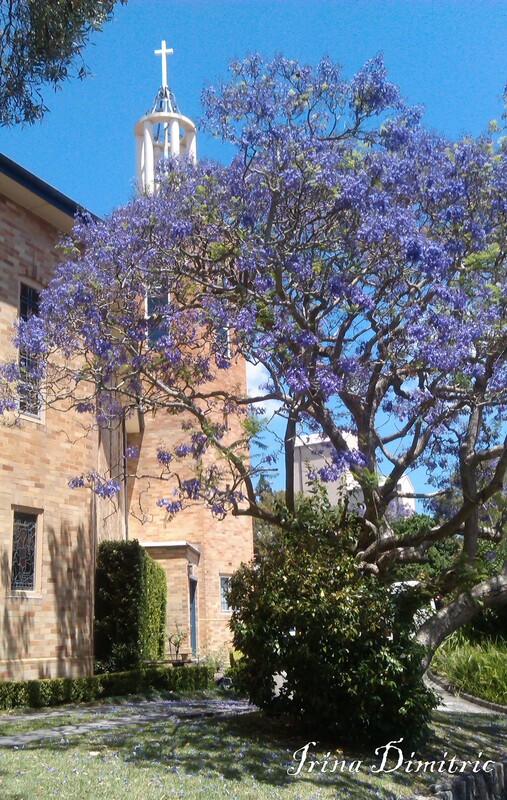 Love when the Jacaranda are in bloom. 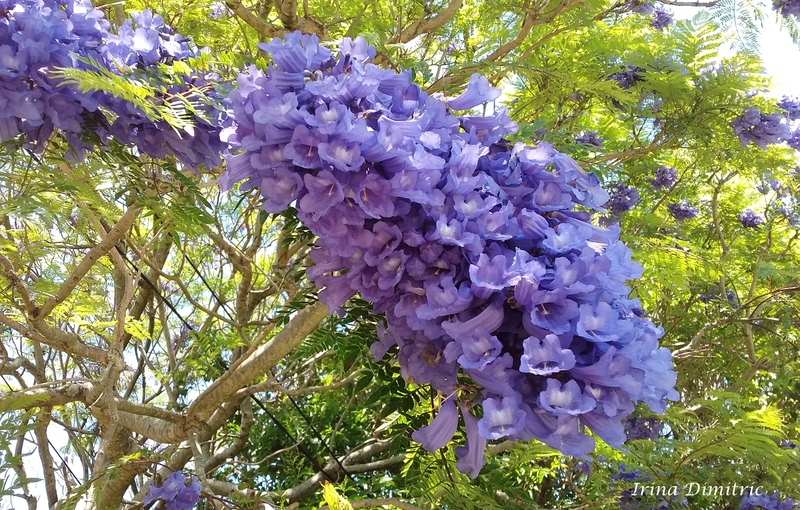 In Southern California and Arizona, ours bloom in May and June! I look forward to it every year!! Wonderful colors! 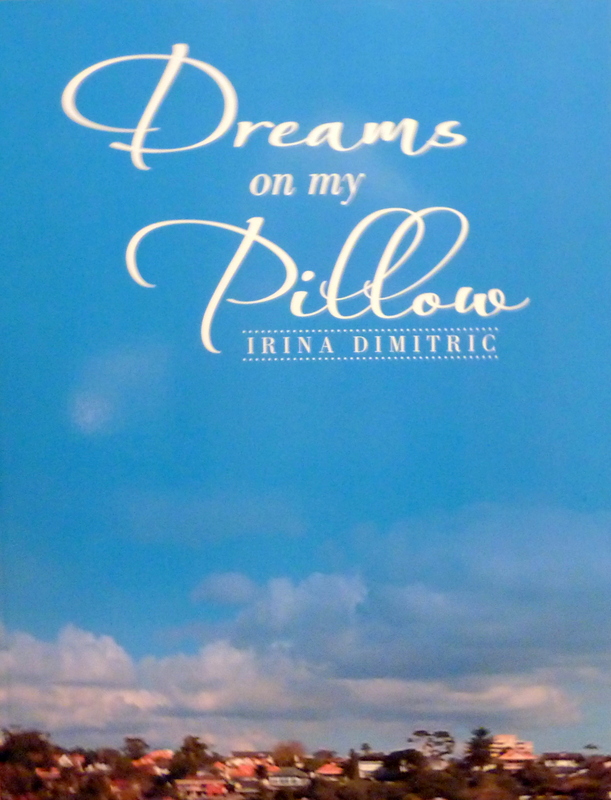 Merry Christmas, Irina! Happy, healthy and rich New Year! 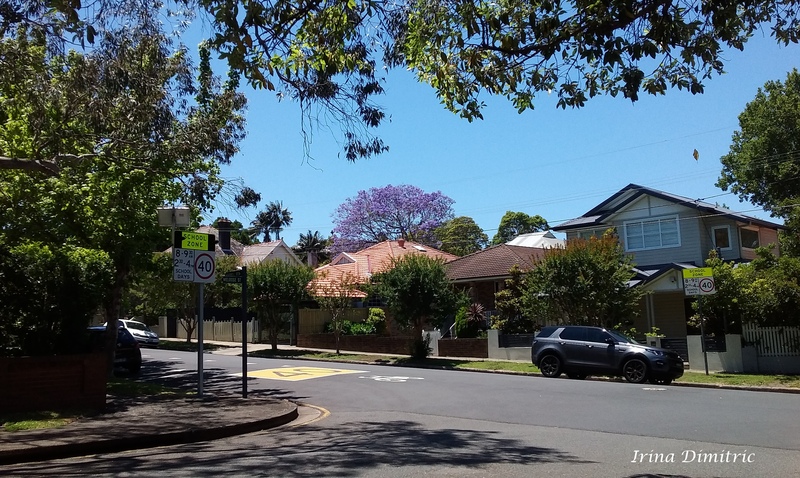 Thanks, Inese, for appreciating the beautiful jacarandas. Hope you had a lovely Christmas. Best wishes for the New Year!